When traveling from country to country, it can be annoying to have to change currencies in order to buy things like a hostel bed for a night. But there is one currency much of the world accepts: beer. 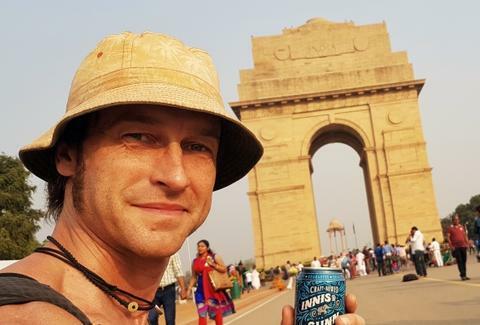 One resourceful hitchhiker discovered that as he journeyed from the UK to India for eight long weeks, using only beer to "pay" for transportation and places to stay, The Telegraph reported. Marshall managed to truly live the dream: He started in Edinburgh, Scotland before making his way across Europe to countries like Serbia, Bulgaria, and Greece, eventually ending in India. 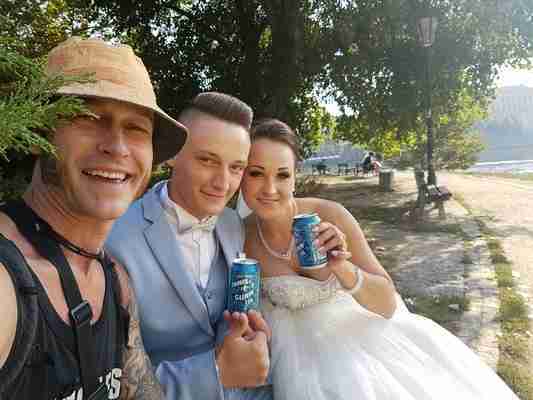 This was all done with cans of beer except for when the brewery flew him from Greece to India. Sure, he kind of cheated, but Marshall was traveling for eight weeks and 5,000 miles, so let's cut the guy a break. It's clear that beer and travel are inextricably linked, but since you probably don't have a brewery offering you free beer when you go abroad, it's important to learn how to order a beer no matter where you find yourself. Lee Breslouer is a senior writer for Thrillist, and is not a fan of hitchhiking. Follow him to cabs @LeeBreslouer.